Samsung is now concentrating on the Budget phones category as well after the entry of Chinese companies which are dominating the market with their devices like the Redmi Note, Asus Zenfone 5 and other such devices, now Samsung is also eyeing on the $100 or Rs. 6000 to Rs. 10,000 category. With a huge number of devices being launched in this category there is a lot of competition in this price range and Samsung with its brand name can surely take on the competition if it releases devices with the correct specifications and pricing. One such device which the company has recently launched is the Samsung Galaxy J1 which comes 4G ready. And the company will be releasing 3 such devices to take on the 4G market with Galaxy J1, Core Price 4G and Grand Prime 4G. Coming to the specifications and features of Galaxy J1 the device comes with a 4.3 inch display which has 800 x 480 pixels resolution. 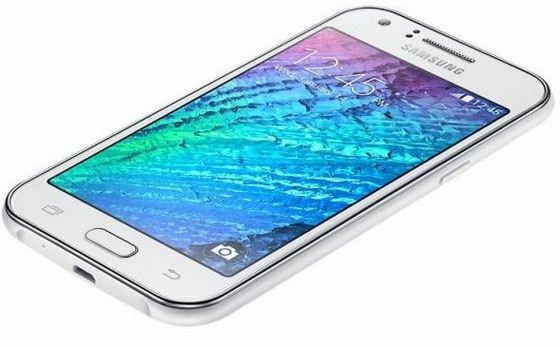 The Galaxy J1 measures 8.9mm in thickness and weighs 122 grams in weight. The device is powered by a 1.2GHz Quad Core processor which is supported by 768MB of RAM. The device comes with 4GB of internal storage which can be expanded upto 128GB using microSD card support. It runs on Android KitKat 4.4 OS. Coming to the camera aspect the device comes with a 5MP primary or Rear facing camera with LED flash and 2MP front facing camera. It comes with Dual SIM support along with other regular smartphone features like 4G LTE, Wi-Fi 802.11 b/g/n, Bluetooth 4.0, GPS, NFC capabilities and FM radio. The Galaxy J1 is powered by a 1850 mAh battery which is decent enough for the device. The Samsung Galaxy J1 is priced at Rs. 9,990 and comes in two colors of Blue and White. It will be available for purchase from March 2015. Lets see how the device is accepted by the users who have a lot of options to choose from, with the brand name of Samsung which many trust in the offering this device can be a good deal for Samsung if it gets going.